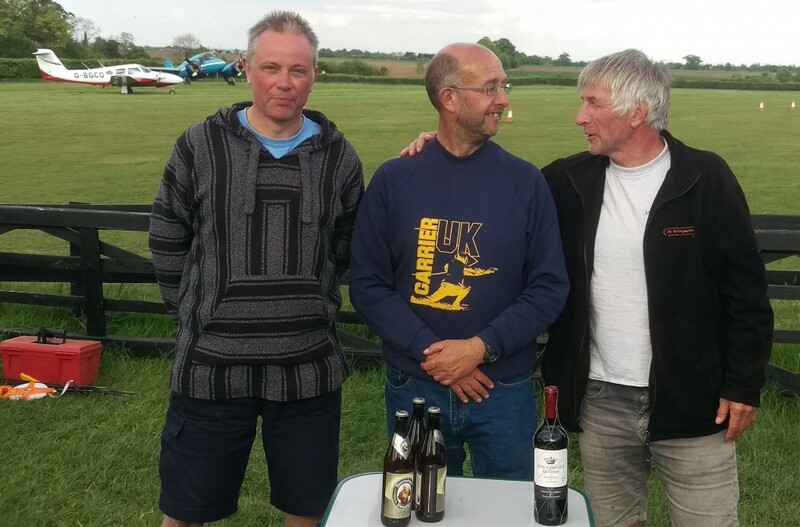 With an encouraging weather forecast on the Jeep radio, your webmaster set out on Saturday 14th full of hope that his preparation for the event would pay off. 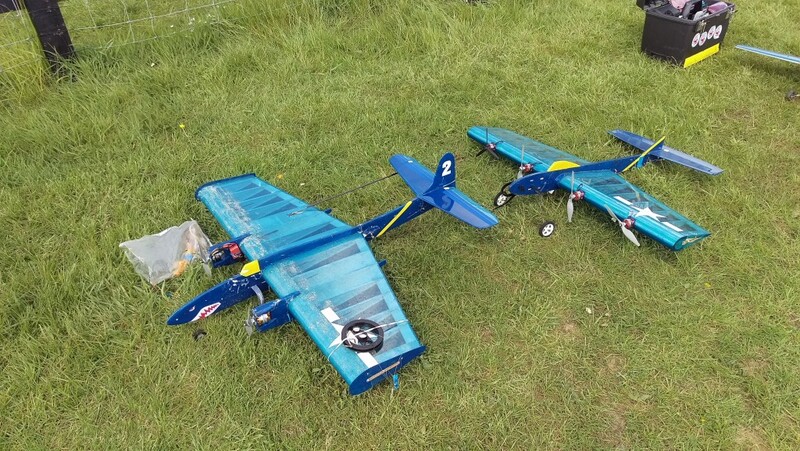 One fuel-related breakdown later at Chieveley Services should have warned him that good luck is the reward for good preparation, and so it proved during his Sunday flying attempts, having abandoned any idea of a few circuits on Saturday in favour of a sundowner at the hotel (thank you RAC!). 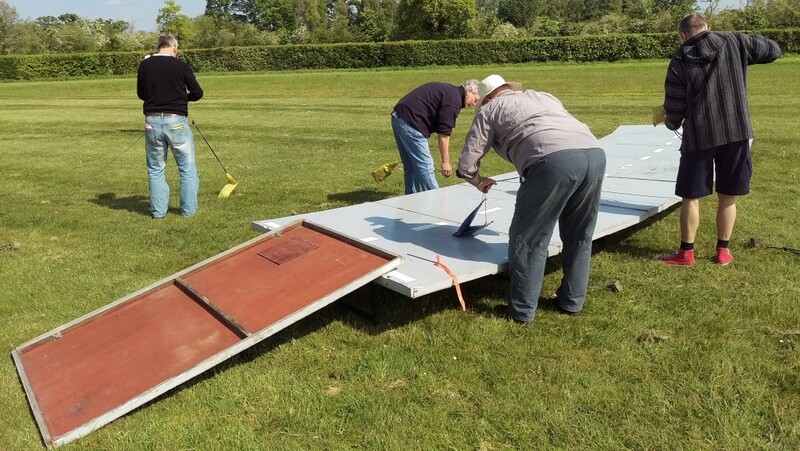 Due to an overnight change in wind direction, the deck was moved through about 180 degrees by the dockyard mateys under the able command of Captain Andy, and off we went for a good day’s aviating. 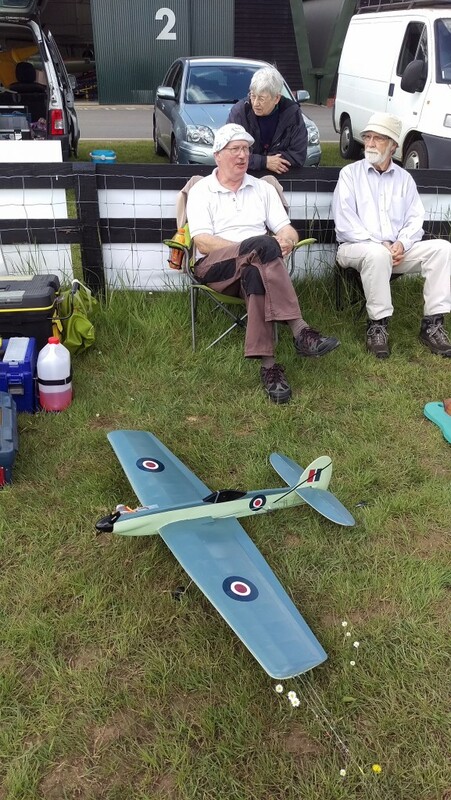 I’m awaiting Andy’s full report which I’ll plug in here when it arrives, but in the meantime here’s a collation of some of the interesting models and their pilots on the day I was actually there. In fact, it seems that the first day was only moderately attended, the wind was strong and cold, and some of our continental visitors had big problems remembering the gay bunting that adorns HMS Incredible’s superstructure; Jan and Willi both found that RN cordage is made of stern stuff, their encounters with which resulted in some damage and overnight repair work! 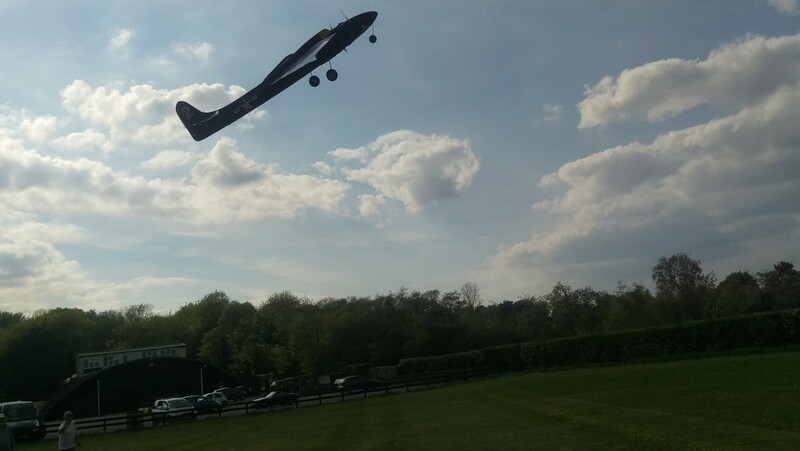 The day’s competition on Sunday was slightly curtailed by the arrival of the UK’s only flying Avro XIX (Anson) about 30 minutes early, along with its support aircraft. We’d actually finished, but some other events were still in progress, and the Airport Manager wasn’t pleased with the full-sized machines that just went ahead and landed, the chase pane having buzzed the runway at about 100ft…anyway, a great day was had by the Carrier contingent, and the sight of a beautifully restored old lady (no, not Mrs Flyco!) was a bit of a bonus. Ian Gilbert’s latest creation – a U2 inspired, I was told, by David Cowburn’s ongoing love-affair with the design, powered by a teeny ASP 21. Very smooth, it netted him 1st place. 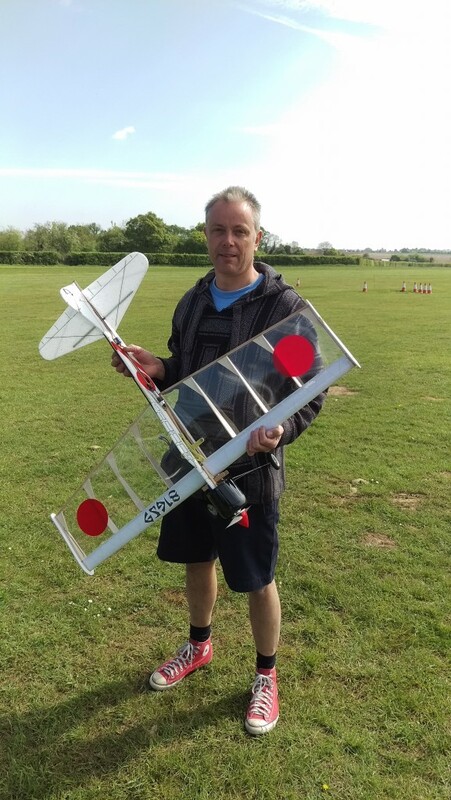 Nigel Frith is making a name for himself asone of the men to beat this year, seen here with his Zero, based upon an old Russian combat wing he had spare in his garage! All the other parts are made of carbon-reinforced EPP resulting in a very light model (about 30 oz). Powered by an electric motor, it’s extremely competitive, giving him 2nd place. Fred Skinner (Barton) has gone all “109” with his take on the Eric Conley US record-breaking profile design. 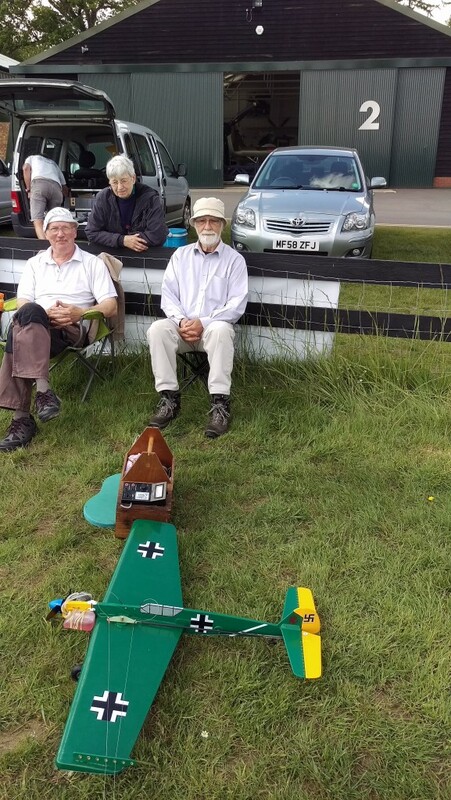 Seen here with David Cowburn, who made 12th with his Seafang, Fred took 8th place – Luftwaffe rules! 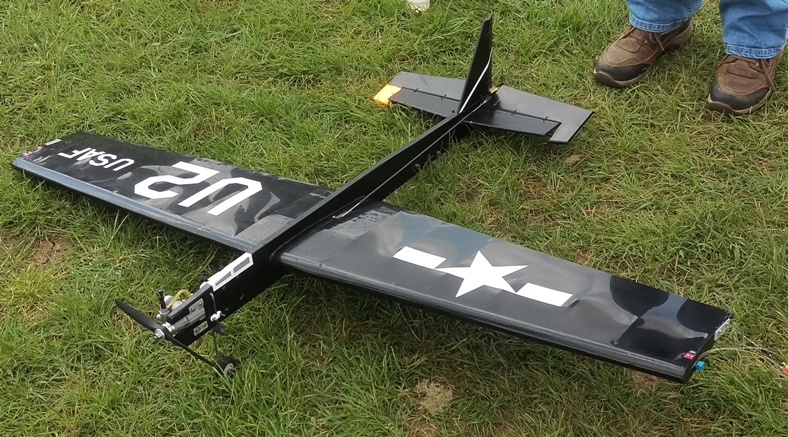 A totally new shape on the deck this season is Mike Welch’s North American Savage, with twin electric motors. 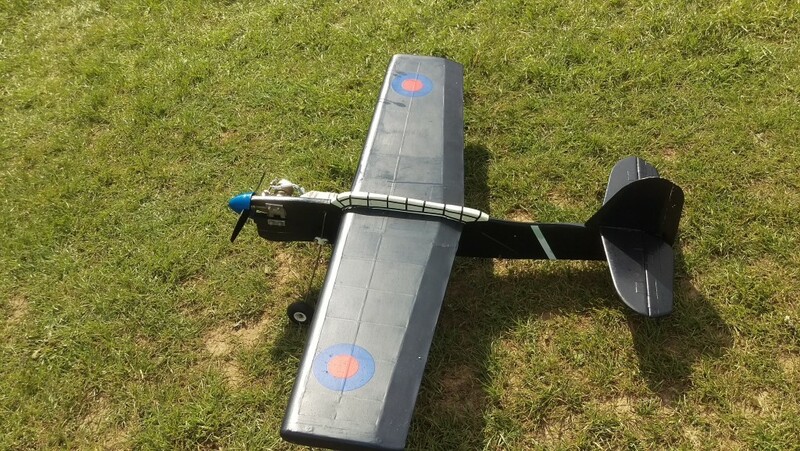 It’s another very capable machine from Dr Mike’s production line, and netted 5th place for him. 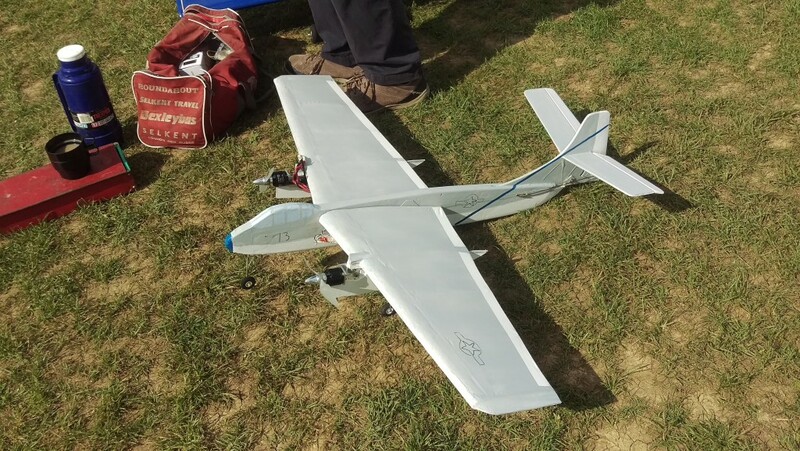 The only major casualty of the event was my MO-1, which lost power on the slow seven and stalled in vertically, wrecking the carb and returning the fuselage to some of its component parts. On the plus side the motor retaining wire held true and kept the wreckage together, and after a damage survey by my quality Inspector Nunu the cat, I’m told that “the damage ought to buff out nicely…” – we’ll see! 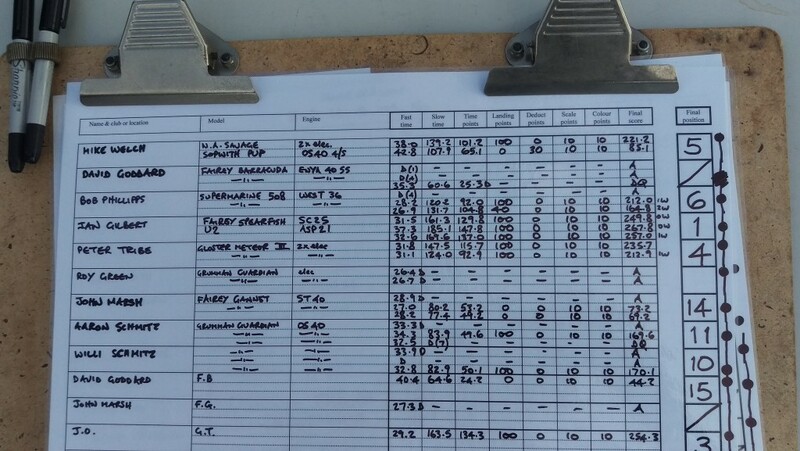 I then flew my Hellcat and inflicted Cat 3 damage to that on a heavy landing, and finally made 13th place (lucky?!) 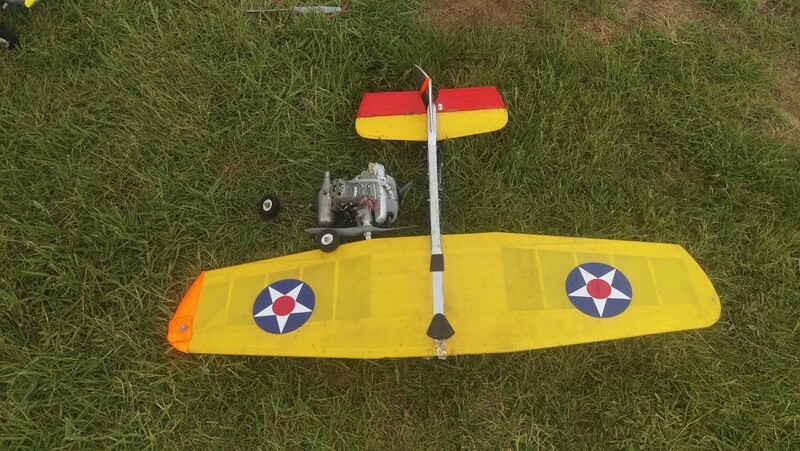 with my faithful Joe Just Wildcat with no drama beyond a busted prop. 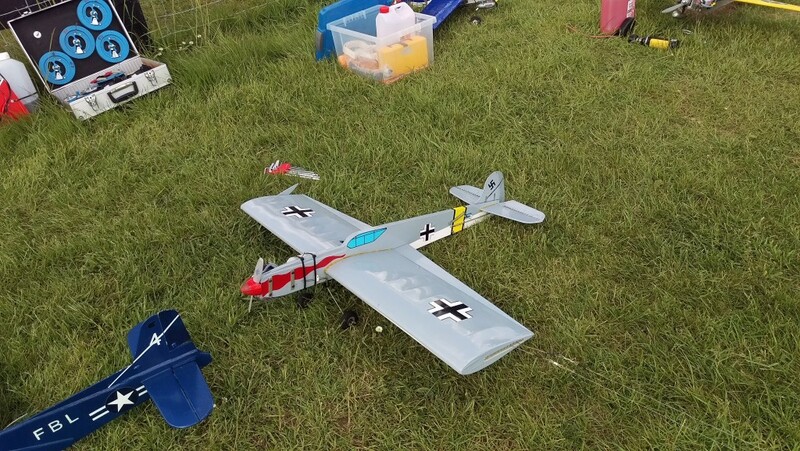 Chris Howell is getting to grips with his ME109T, and turned in some very competent flights resulting in 7th place – richly deserved after various misfortunes last year. 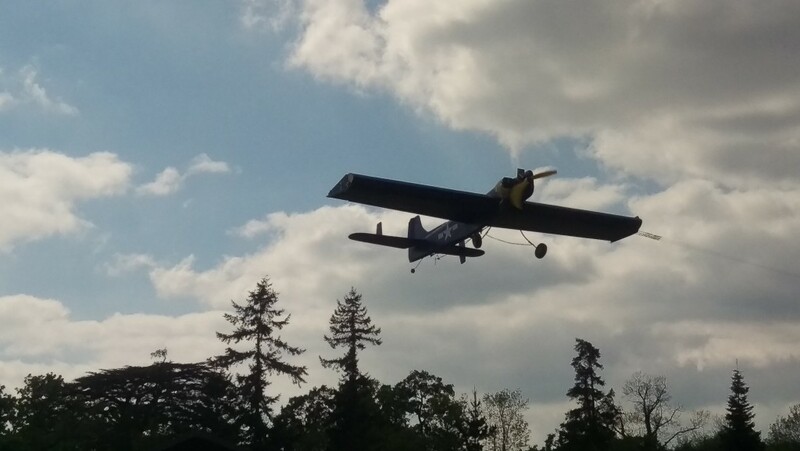 Not too many action shots this time but that Tigercat of Jan’s does hang nicely! Aaron Schmitz from Germany proved that he’s pursuing Carrier very keenly, and took 11th place flying Jan’s well-travelled Guardian. 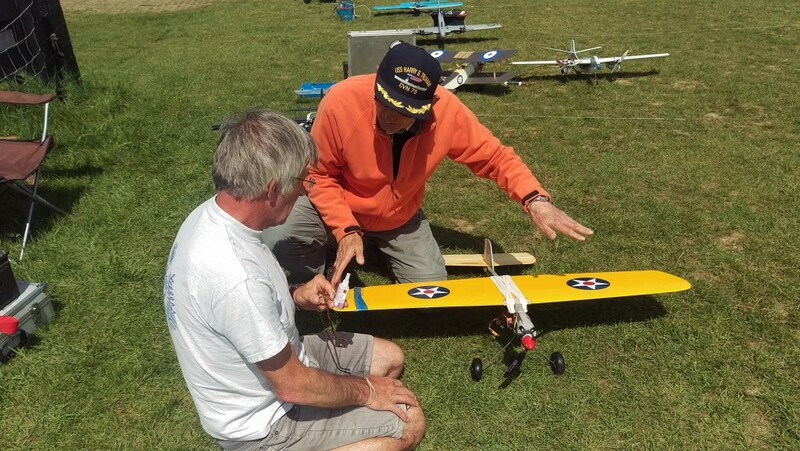 It’s great to see some younger pilots competing – and look, I really, really, don’t mind being well-beaten by someone 50 years younger than me! David Goddard is another newcomer to the deck, and is campaigning this well-presented Barracuda. Fortune was not on his side for his first attempts but he tried again near the end of the session and notched up some points to nab 15th place – well done! 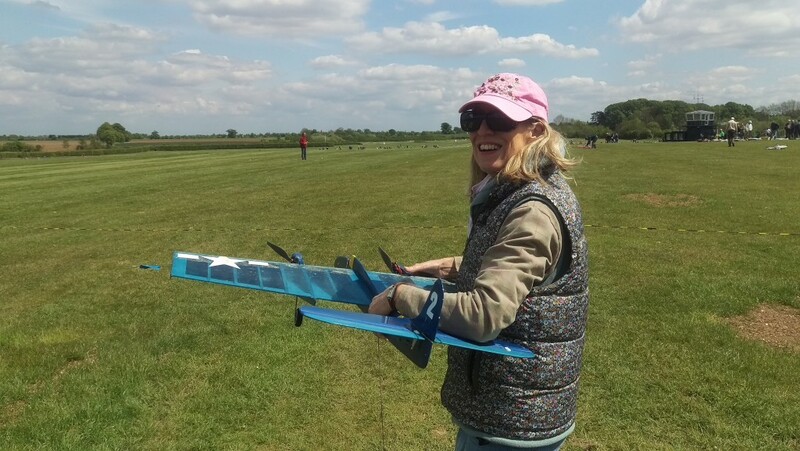 Yes, I did mention Mrs Flyco (wife Jane) earlier, and she was very keen to help, especially when Jan needed an assistant to get his Tigercat to the deck – should I be worried or just try to score 100 more points??!! 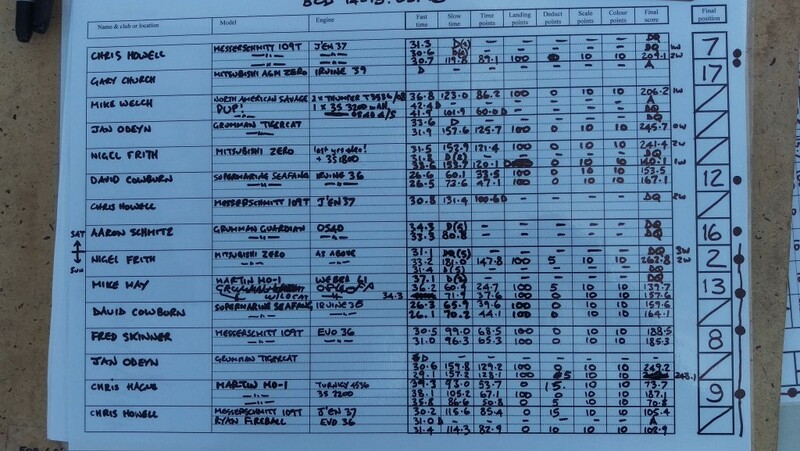 Pending the official results, here’s shots of the record sheets for the two days.